Cruise Ship Passenger Advice: Read your Ticket! Upon booking a cruise, you, the cruise ship passenger, should receive a written ticket that typically contains provisions governing your rights as a cruise ship passenger and limiting the liability of the cruise ship company. The cruise ship ticket is actually a contract between you, the cruise ship passenger, and the cruise ship company, referred to as the “carrier”. The ticket may choose which “forum” governs; that is, it selects the court or country where a claim must be made or suit must be filed. The ticket may limit the time within which the cruise ship passenger must file a lawsuit, or may even require that the cruise ship passenger give written notice of your claim to the cruise ship company, within a shorter amount of time, before you can file a lawsuit. 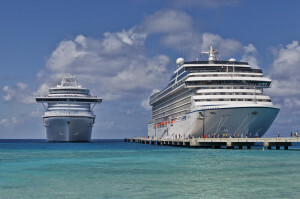 The ticket can also contain a clause that requires any dispute you have with the cruise ship company to be submitted to arbitration, instead of being able to file a lawsuit. Arbitration is an alternative form of dispute resolution which takes place before arbitrators instead of a court, and their findings are conclusive and final. The ticket may also seek to limit the cruise ship company’s monetary liability by stating that your rights are governed by an international convention, even in cases where the United States or your particular home country may not have signed or accepted that convention. For instance, one such treaty is the Athens Convention for the Carriage of Passengers and their Luggage by Sea of 1974. Your ticket from the cruise ship company may state that it is governed by the Athens Convention, even if you are a United States citizen or a foreign national from a country that has also not accepted the Convention. If your cruise was not from a United States port, or did not visit the United States during its voyage, then this Convention would apply. This might seem unfair, especially for United States citizen-passengers or where the cruise ship corporation is based in the United States. Some United States courts have applied the limitations of the Convention, through its inclusion in the contractual terms of the ticket, as long as the ticket is clearly worded and explains how the Convention will affect your rights. Courts have also applied the Athens Convention in cases where the “flag” of your cruise ship (i.e. the country where the ship is registered), has accepted or adopted the Convention. However, if your cruise ship sails out of a United States port, or makes a United States port of call during your cruise, then United States law should apply to your claims, overriding the Athens Convention. But you can expect the cruise ship company to argue that the Athens Convention applies where it suits their purposes by limiting your recovery. Whether United States general maritime law applies or whether the Athens Convention governs your claim may make a significant difference to your potential damages. The cruise ship company’s total maximum liability under the Athens Convention, as it now stands, is approximately $70,000 (although it fluctuates slightly due to exchange rates). This limit applies even if you may have suffered substantial injuries or losses. Under the United States general maritime law, a cruise ship company ordinarily would owe all persons on the ship a duty to exercise reasonable care for their safety and to warn against any dangers that they know of or should know of. If these duties are violated, the company is responsible for the consequences. However, note that United States courts will still consider the passenger ticket to be a contract, and it may still contain some of the other limitations listed above, which may still apply, such as the selection of a forum where your claims must be filed. Therefore, the best advice is still to read your ticket and know what terms and provisions you have agreed to by boarding the vessel for the cruise. Sometimes, when you need to bring a claim for something that occurred on the cruise, certain limitations, such as a requirement in the ticket to give the carrier written notice within a short amount of time, may have already expired before you have even seen a lawyer about a claim. You need to be aware of terms like this or your lawyer will have a very difficult time with your case. Often, a cruise ship passenger will go on a cruise without having received or printed the full hard copy of their ticket, having booked their cruise through an agent or reserved it online. On other occasions, the ticket is received immediately before the cruise, and the cruise ship passenger does not have a chance to review it. For the vast majority of cruise ship passengers, the cruise will simply be an enjoyable vacation; however, when something does go wrong you will want to know what to do next and how to protect your rights. Should you find yourself in these circumstances, please feel free to contact us for advice.